Based at award-winning Fogo Island Inn, this compact adventure is ideal for intrepid, curious and discerning explorers seeking an untamed wilderness, countless flora and fauna, as well as extraordinary ocean views along Canada’s famed Iceberg Ally. The Inn offers a variety of ways to enjoy this incredible island and its maritime heritage, now beloved by artists and those seeking a complete and exclusive retreat. 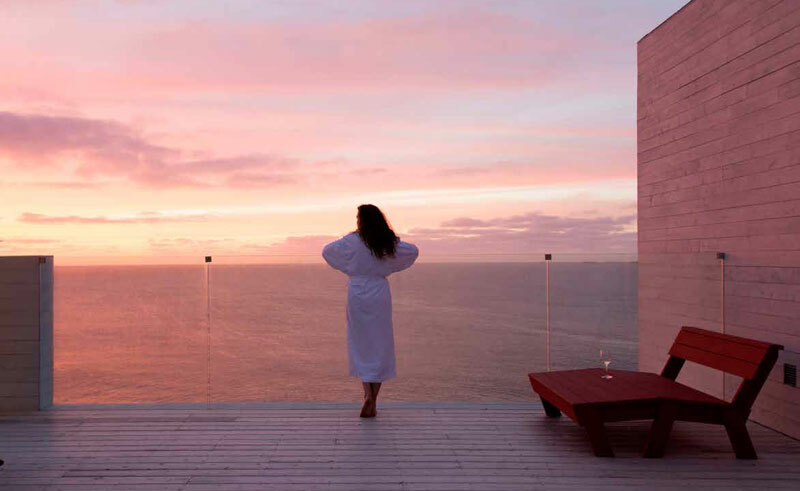 Step outside and explore some of the 200km of walking trails on the edge of the North Atlantic, at times bathed in wildflowers or carpeted in edible berries, then relax in the impressive interior space or in a rooftop hot tub, watching whales breaching offshore and enormous icebergs migrating south. This independent itinerary also includes 2 nights in St John’s offering a unique blend of history, culture and character. A couple of nights here will enable you to meet some of the locals, soak up the atmosphere and visit nearby Quidi Vidi, a picturesque fishing village home to North America's oldest cottage. 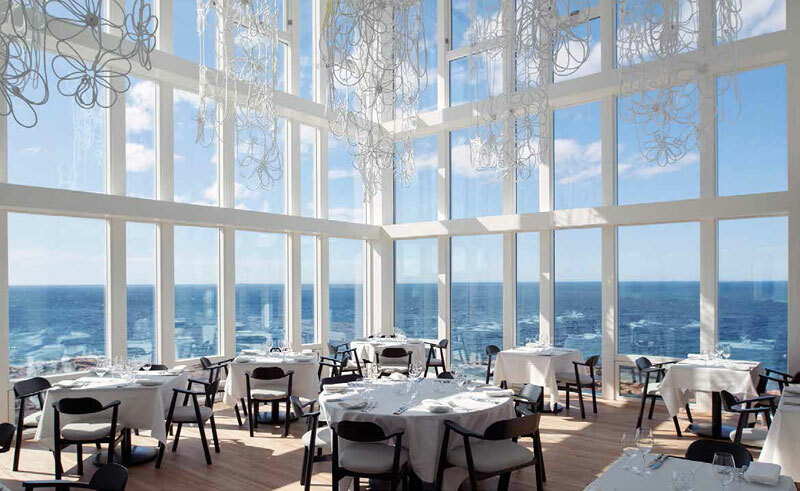 From St John’s you’ll travel by helicopter to Fogo Island Inn, located off the northeast coast of Newfoundland, and you'll stay at this luxury hotel for 4 nights, perched on stilts atop a rocky promontory. This remote yet accessible outport community is situated in the Labrador Current along 'Iceberg Alley' and the island is bounded by the rugged shores of the wild North Atlantic Ocean. Migrating whales and icebergs visit in the spring, and the fall berry season finds Fogo Island covered in at least two dozen varieties of edible berries. The Island's boreal forest plays host to herds of caribou, beavers, foxes, mosses, grasses, and wildflowers, while with over 200 km of walking paths, the island is a mystical destination for hikers and walkers alike. 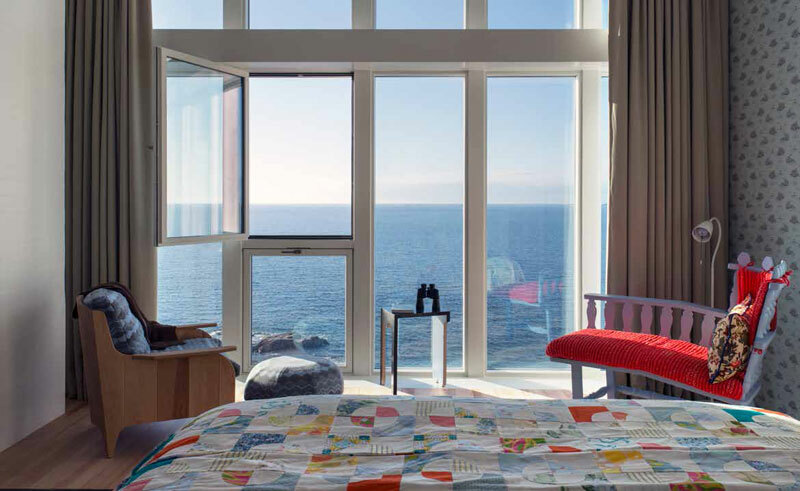 The Inn's contemporary suites are individually designed and feature heated wooden floors, custom-made furniture, hand-crafted quilts and floor-to-ceiling windows with incredible North Atlantic views. The service is impeccable and the cuisine extraordinary. 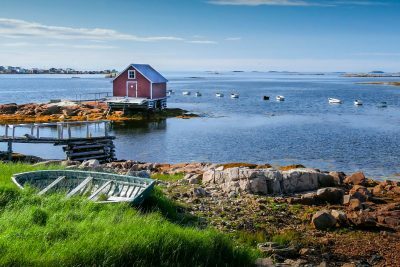 If you would prefer a more comprehensive self-drive exploration of Newfoundland then you can still easily incorporate a couple of nights or more on Fogo Island. From St John's it is a 4.5 hour drive to Farewell, and from Farewell a scenic 45 minute ferry journey to the island. Contact our Travel Specialists for further details on how to combine Fogo Island with our Newfoundland Discovery, or tailor your very own self-drive itinerary. Upon arrival in St. John’s, you will be met and transferred to Murray Premises Hotel in downtown St. John’s. Located within a National Historic Site on St. John’s waterfront, this hotel features contemporary rooms with character. With exposed wooden beams and brick walls, each room is distinct and comfortable. Enjoy a relaxing morning with a deluxe continental breakfast before exploring St. John’s with a private driver guide. You’ll visit Signal Hill and the Cabot Tower, which have overlooked the St. John’s harbour since 1897; Quidi Vidi Village and the colourful streets of St. John’s. Depart St. John’s today by private helicopter transfers to Fogo Island Inn. This scenic 75 minute helicopter transfer will take you over the Bonavista Peninsula and across Hamilton Sound. 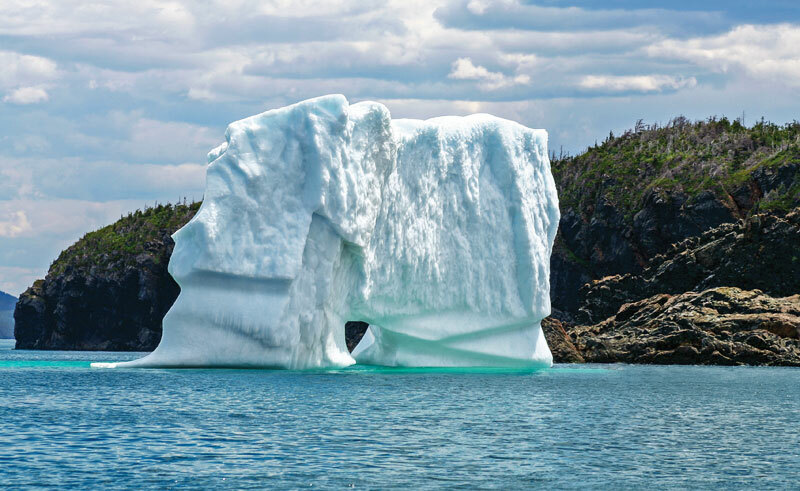 Between June and July, icebergs can be seen floating in the water north of the mainland. 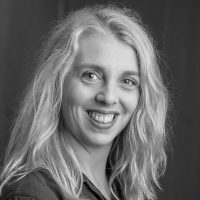 Upon arrival, you will be met by a member of staff from the Fogo Island Inn. Set amongst the rugged landscape on the ancient rocks of the Back Western Shore, Fogo Island Inn stands out like a beacon in the rocks and offers a sense of hospitality and welcome that only a tiny island can. By bringing together a rich culture, history and people, the Inn offers an experience unlike any other. Fogo Island is big and small - big enough to be interesting, yet small enough to get to know. It has been called a welcoming wilderness. Each of the seven seasons provides a different perspective for getting to know the island and perhaps yourself. With hot summers, snowy winters, spectacular ice season, hopeful spring, trap berth season and the world’s best berry picking in the fall. Depending on when you travel, each season boasts different highlights. 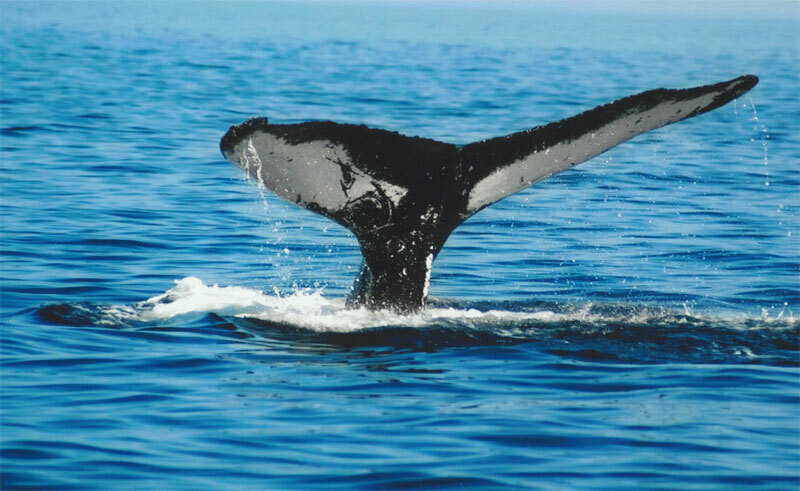 Spring brings whales and icebergs to the shores and eventually gives way to June’s trap berth season, a dynamic season that belongs neither to spring nor summer and represents the beginning of the traditional cod fishery. The warm summers see the Island touched by gentle breezes and blanketed in wildflowers. On Fogo Island, fall is berry season. The Island is home to dozens of varieties of edible berries which quite literally carpet the barrens and bogs from late August to October. Berry season is followed by the late fall season, a temperamental season which oversees the Island preparing to once again welcome the snow and ice of winter. Late fall lends itself well to reading, writing, and reflection. Whichever season you choose to visit in, there are always a myriad of things to do and see from hiking and kayaking to wildlife watching – whales, seabirds, seals and caribou, to name a few. Depart Fogo Island today by private helicopter to St. John’s to carry on your travels or return home. 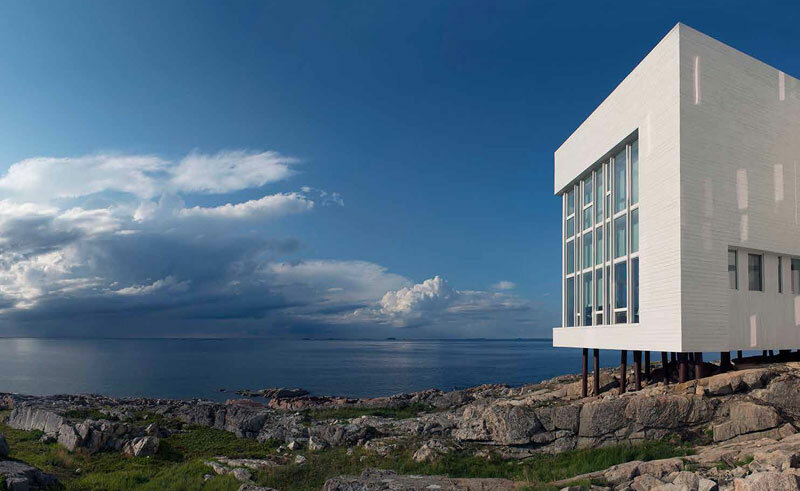 An intrinsically Newfoundland retreat, the award-winning Fogo Island Inn has been carefully designed around the rugged landscape and combines warm hospitality with contemporary architecture and amenities. There are many things that can be enjoyed all year-round at Fogo Island Inn but each season also lends itself to unique experiences. Year round you can explore the Backwestern Shore, take walks with Make and Break – the Inns Newfoundland dogs, enjoy boatbuilding orientations, craft programs and stargazing. Relax and recharge in the rooftop sauna, surrender to the library, read by the fire, learn about outport furniture traditions and visit the very special Oliver’s Cove. Read on for more seasonal highlights. Spring is the perfect time for hiking, walking and ambling. As well as watching icebergs and seabirds, you can also enjoy beach walking and rock collecting, caribou watching, cycling and seal watching. Also great for hiking, walking and ambling as well as a good time for an orientation to the fisheries and smoking fish. Watch the icebergs drift by and enjoy seabird watching. This time of year is also good for visits to Little Fogo Island. In the summer you can enjoy ample hiking, also forage for mushrooms, go berry picking, tour the local museums, enjoy fishing, ocean swimming, music festivals, cycling, sea kayaking and visit Sandy Cove Beach. Berry season is another beautiful time to visit Fogo Island Inn. Enjoy some of the earlier mentioned activities as well as bonfire nights, caribou watching and if you’re lucky northern lights viewing.